This case system was designed for the Lawo Group as a modular approach to transport and display their equipment for trade shows. 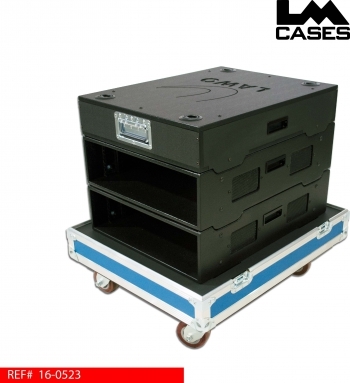 The system is designed around 3RU rack shells, and a storage box that is 3RU in height that stack together allowing for multiple confirguations. 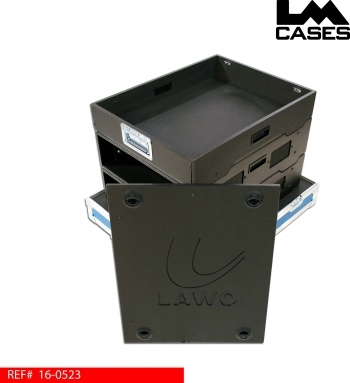 The concept allows the racks to remain stacked and locked together in the outer case tray, this expedited the set up and tear down of Lawo's booth. The racks are built out of 1/2" Baltic Birch plywood that is milled and routed to have male and female feet and receptacles allowing the racks to interlock. 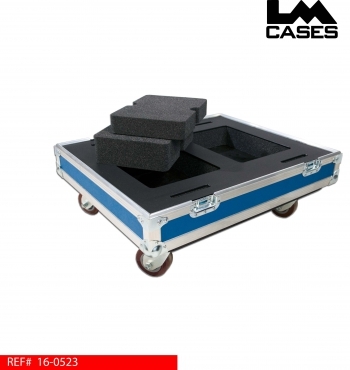 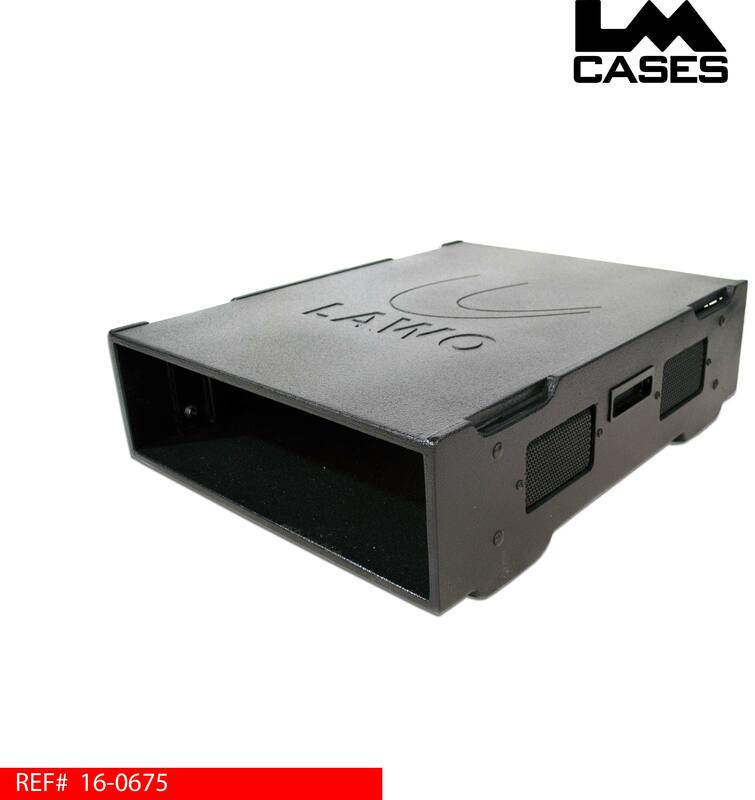 The exerior case features a marine grade plastic bottom that rests on a piece of 3" foam allowing the bottom racks's feet to lock into the exterior case tray. Each rack is finished in black textured coating and features front & rear rack rail, and a routed in Lawo logo. 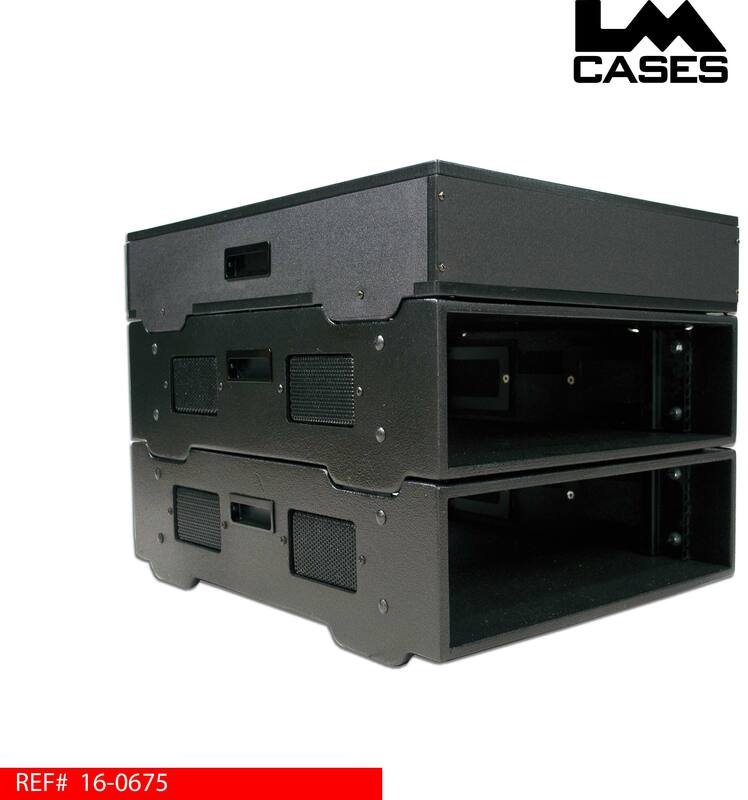 The racks also feature expanded metal vents that were pressed into the exterior rack holes allowing them to have a very finished rounded look. 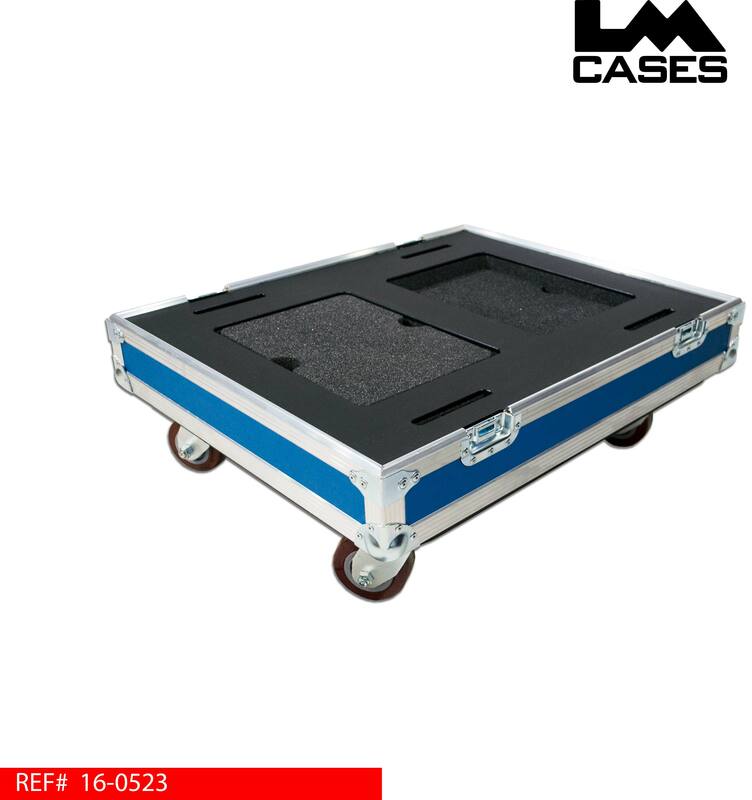 The top accessory case is the same size as the rack shells and features a hinged lid with slam latches so it can be removed and carried like a brief case. The exterior case features 2 accessory compartments in the bottom tray for additional storage, removable foam plugs are included so that items like laptops can be stored and sealed with the foam plug so they cant hit the rack bottoms during transport. 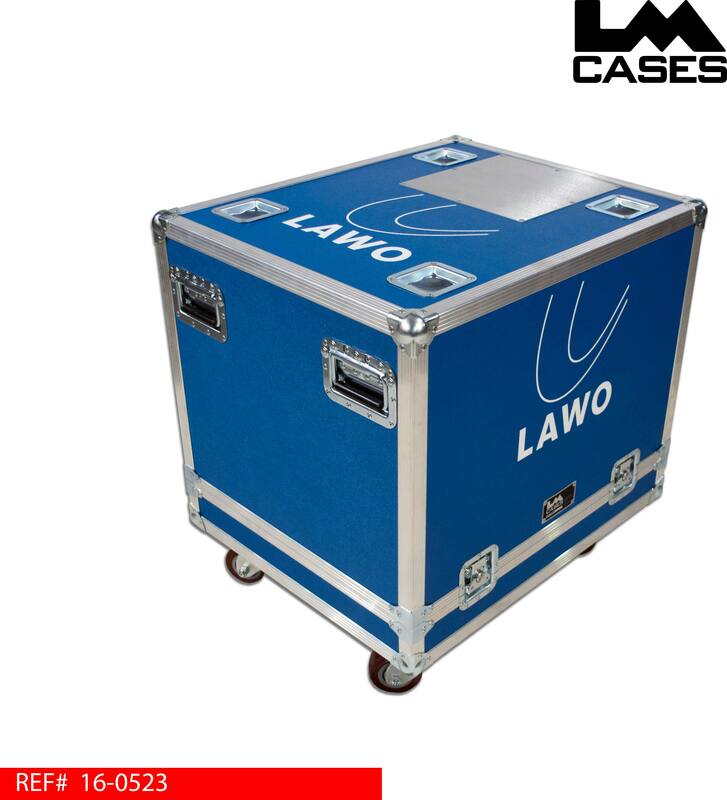 The exterior is built out of 1/2" plywood laminated with medium blue ABS plastic and featured Colson 4" x 2" casters, stacking caster wells, a shipping plate, and prints of the Lawo logo silkscreen.